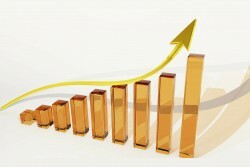 Economic growth is expected to accelerate next year. According to economist Veljko Bole of the Ljubljana Economy Institute, growth will pick up again early next year and could reach a year-on-year growth in mid-2014. In regard to the average value of forecasts by different institutions, GDP in Slovenia is expected to shrink 0.8 percent next year.